Even though Korean companies are still at the early stage in environmental accounting they have a great potential for introducing and implementing environmental accounting. External pressures from the government, international standards, and NGOs also play an important role for companies to increase their interest in environmental accounting. The policy options recommended in this paper offer a possible way to apply environmental accounting to other countries as well as Korea. 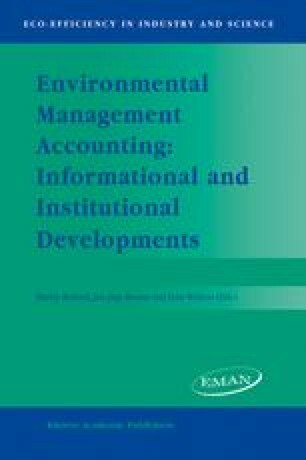 However, this paper does not cover the area of environmental financial accounting which is another equally important area. In the near future, therefore, it will be necessary to examine how to include environmental aspects in financial accounting standards.